When a bareboat charter is not possible, a crewed yacht charter is ideal to discover the Aegean waters of Greece and Turkey. Most crewed charters are sailing monohulls, and few are catamarans. Moreover, besides the larger mega yachts, the most luxurious crewed charters are gulets, so called motorsailers or motor sailers, which can be found mainly around the Dodecanese and the Turquoise coasts of Turkey. These motorsailers are traditional wooden vessels that originate from the Bodrum and Marmaris area. Yet, these are now newly built with modern style cruising in mind: fully air-conditioned, spacious cabins with ensuite bathrooms and a fully equipped kitchen (called a galley) that enables your chef cook to provide you with delicious dishes throughout the day. 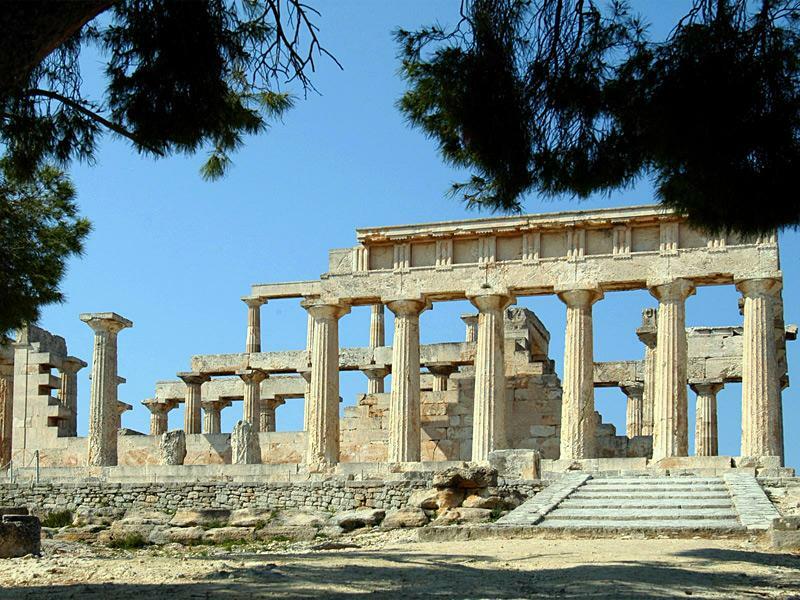 Above, the temple of Aphaia on Aegina island in the Saronic Gulf.
.: Crewed yacht charters and luxury gulets :.